Rarely is the a day passing without something going on on the canal. Today was no exception. The day started with the nearest thing you can get here that would be classed as a traffic jam. 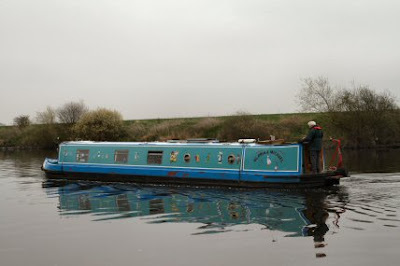 They all went through Cromwell Lock with out incident but then things started to go wrong for others. The lockkeepers had to go to a meeting so all the locks that are usually manned – weren’t. This is not a problem at Nether and Town Locks but Cromwell can not be operated by boaters and needs a keeper to do the business of gates and filling and emptying the lock. No lockkeeper. No movement. However one boater had booked passage and the keeper had been taken off to the meeting and a relief had to come from Gunthorpe. 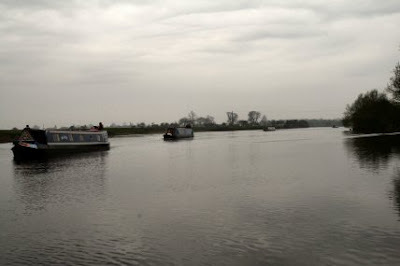 Unless one has a powerful engine then you don’t want to go out on the Trent without the assistance of the tides. This one eventually went out on hour late and hoped for the best. As I was told it reflects badly on the lockkeepers if they say the lock is open then when the boats arrive it is closed even though it is out of their hands. In the afternoon Mucky Duck arrived. It seems that he had been delayed in Newark. Someone of a moronic frame of mind had thrown a rope off one of the barges into the water and it had caught around his propeller. The action of the rope trapping swung the boat right over and across the canal. If a Tupperware had been in the way then I shudder to think of the consequences. It was that big that there was no way that he could remove it. In the end a crane had to lift his stern out of the water so that the prop could be accessed and the offending rope cut off. The boat I mentioned yesterday with all the wood on the roof turned up. He was going to Torksey but with the lock closed had to stop. The wood was from Gunthorpe where a load had been cut down and needed to be got rid of. Never pass up the chance of free heating he told me. During the evening I disposed of the contents of the ‘thunderbox’. Too much info I know. 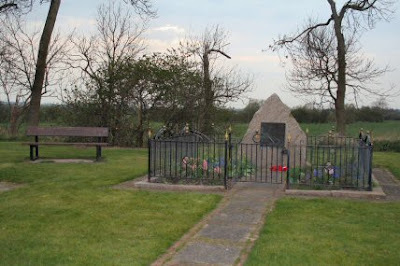 But while there I noticed a memorial to the 131st Independent Parachute Regiment (Volunteers) Lest We Forget. 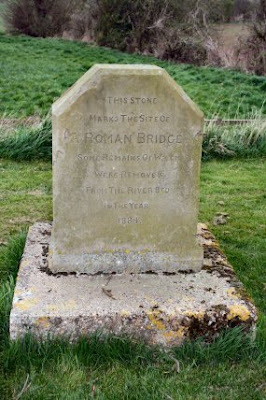 Nearby is another stone which marks the site of the Roman Bridge. You are too late if you want to see the remains as they were moved when work was carried out on the lock in 1884. 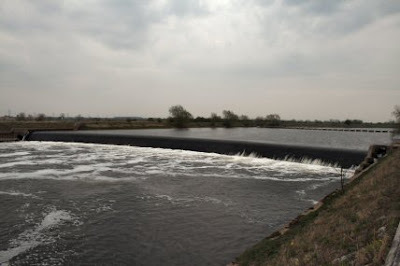 High tide tomorrow is at around 0830 so I shall be on my way to Torksey by 0900 I hope. It looks like a foul weather gear day.